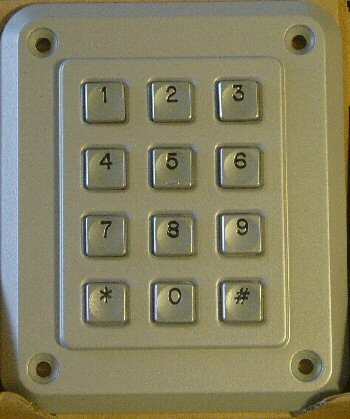 Dual programmable keypad code lock. Open electrical doors with your secret code only! Up to two keypads may be connected to drive both relay outputs. Professional, outdoor or other keypads may be used. Relay outputs are configurable: output voltage +6 to +24VDC (from power input) or simple switch emulation. The small LCD is optional, and can be omitted. Auto blocking after 5 wrong attempts. High-pitched piëzo sounds when striking a key. Keypad cable length up to 100m. This product will be available as a KIT from our online shop. Source code (CCS C) can be purchased separately. 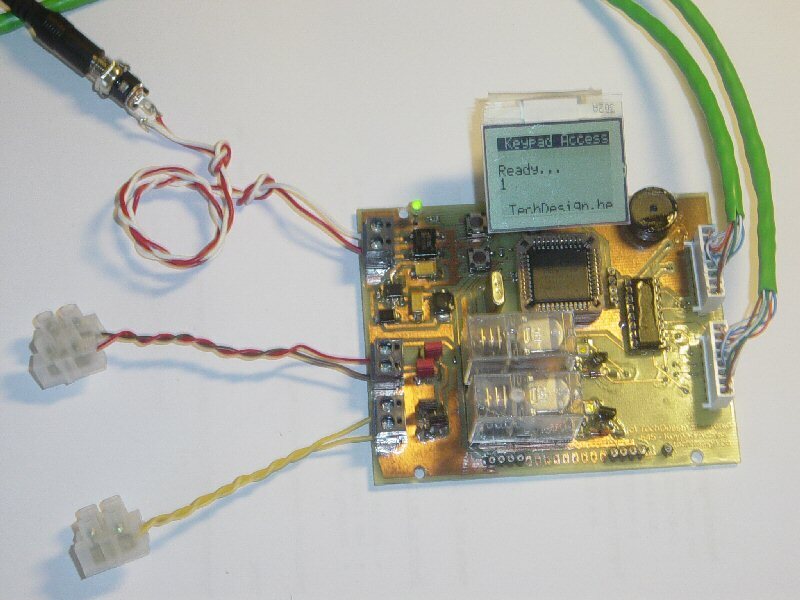 PIC hex file , pcb layout and schematics (Eagle) available. Last update: August 28, 2007. Secret code input: type the 4-digit code and press the # key to activate relay output 1. Press the * key to activate relay output 2. Changing the secret code: type the previous code and press # or * until the piëzo sounds (after 5 sec.) Then type your new 4-digit code and press # or * to finish. Eagle PCB layout: 545_10.brd - August 14, 2007. Eagle Schematics: 545_10.sch - August 14, 2007. Schematics GIF-image: 545_sch.gif - August 14, 2007. Part List (bill of Materials: 545_v10_bom.htm - August 14, 2007. PIC CCS example:Hex file: 545_v005.hex for 18f452 @ 20MhZ - August 28, 2007.